Here is our list of fitness tests you can do at home with minimal equipment. 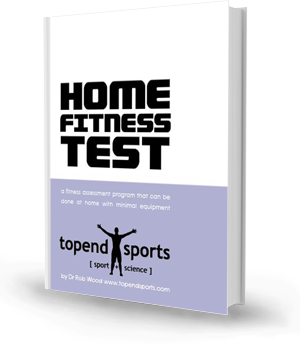 These 10 tests are the tests included in the Home Fitness Test Manual. The manual contains detailed instructions about preparing for and conducting a home fitness assessment, and specific details about each of these 10 fitness tests. The tests are best performed in the listed order, and as described in the manual. Remember to record your results and re-test regularly to monitor the changes in your fitness over time. a unique rating scale for use with the home fitness test.